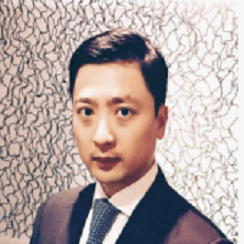 Sang Kang is a Director at Morgen Evan Advisory Services, Ltd. where he focuses on mergers & acquisitions advisory. Mr. Kang has over 10 years of investment banking experience advising clients on cross-border transactions including M&A and strategic advisory and debt and equity financing. Prior to joining Morgen Evan, Mr. Kang worked at Citigroup Investment Bank. He holds a B.S. in Finance from the Leonard N. Stern School of Business at New York University. 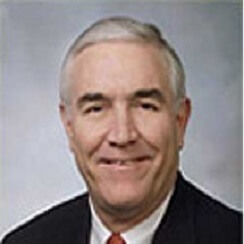 Douglas E. Rodgers has been CEO and Managing Partner of FOCUS since early 2002. He has led the firm’s growth from one office in Washington, DC, to three offices across the US. He has executive level management experience in software, information technology, aerospace, e-commerce, real estate and construction, manufacturing and distribution, serving both commercial and government clients. He serves FOCUS clients across many industries emphasizing merger and acquisitions opportunities. Before joining FOCUS, Mr. Rodgers was Vice President of the Strategic Business Consulting unit of Holland & Knight Consulting LLC. At Holland & Knight Consulting he had management responsibility in the firm and delivered consulting services including M&A, corporate finance, and assistance to offshore companies entering the U.S. market. Mr. Rodgers served as the President and CEO of Corcentric, Inc, an e-commerce services provider spin off from Litton Enterprise Solutions. As the first CEO of the company, he raised both venture and debt capital and led the company to achieve 500,000 electronic transactions annually with a transaction volume of $180 million, including over 30 Fortune 1000 trading partners. As CEO of Global Software Corporation, which served the government public safety market, Mr. Rodgers raised venture and debt capital, guided the development of initial software products and sales to reference clients. As President and CEO of Perfection Equipment Company, a distributor and manufacturer of industrial goods to the oilfield services and transportation industry, he was instrumental in the merger and IPO into a NYSE industry consolidation play. Mr. Rodgers is also a founding director of a National Bank and a manufacturing company. Prior to Perfection Equipment, he was Vice President of business development for a $150 million real estate developer. Mr. Rodgers is an active pilot, with ATP and jet ratings, a BS in Aerospace Engineering and MBA coursework. He was educated at the U.S. Air Force Academy and the University of Kansas, and was a 13 year member and local President of YPO, and currently is a member of the World Presidents Organization. Nitin heads the National team in Transaction Advisory with a diverse skill portfolio which includes private & strategic equity placement, partner search, mergers & acquisition, business & regulatory valuation, financial due diligence, financial modelling, negotiation & contract structuring etc. Following his graduation in Commerce and a course from the Institute of Company Secretaries of India, Nitin qualified as a Chartered Accountant (FCA). He is presently an active member of CII's Northern Regional MSME Committee. Specializing in end-to-end investment advisory on M&As, he has worked on buy and sell side transactions across sectors and led due diligence assignments on a large number of private equity and strategic investments. His expertise in Financial Due Diligence includes desktop due diligence, mock due diligence and vendor due diligences. Nitin has earlier worked with the transactions team of one of the Big 4 accounting practices, with stints at their New Delhi and London office. Nitin supplements his involvement in social events with his interest in playing golf.